1 . Chop the onion into very thin and small pieces. 2. Crack the egg and pour it into a bowl and beat it well. 3. Take 2 tbs of water in another bowl. 4. Add the chopped onion, red chilly powder, pepper powder, salt, curry leaves and chopped coriander leaves. 5. Mix them well till the salt dissolves. 6. Then add the beated egg with this mixtue and mix once again. 7. Heat the tawa and pour the mixture into a thick circular shape. 7. Pour few drops of oil along the sides of the omelet. Turn it over once it reaches golden colour. 8. Remove the omelet when it becomes golden colour on both sides. 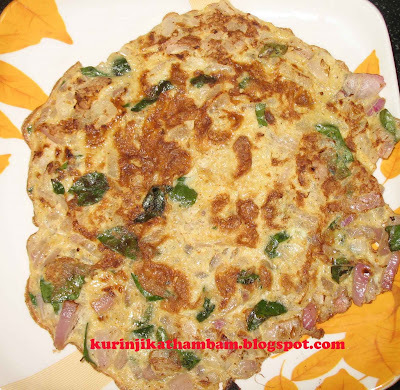 Egg omelet looks delicious Kurinji. Thanks for visiting my blog. You have a nice space too. Sure come back more often. 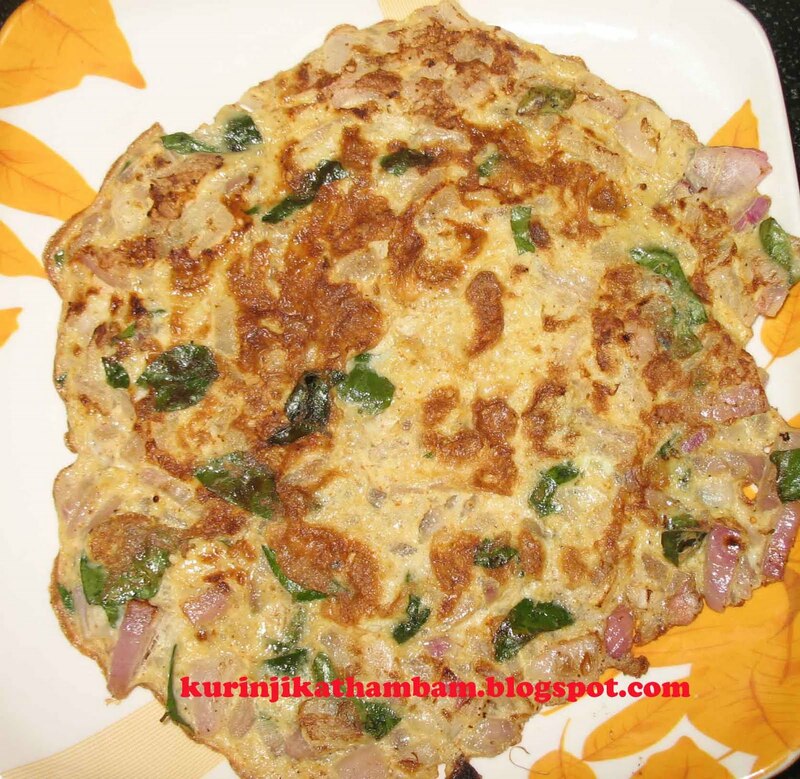 Delicious egg omelet kurinji,this is a dish I crave for quite often.